In an Instagram Live video, the Dying To Live rapper suggests the actress and singer is a “whole widow out here”, adding he’s willing to give her “a whole year of crying and s**t” before making a play for her. “I’ll be the best man I can be for her,” he says. 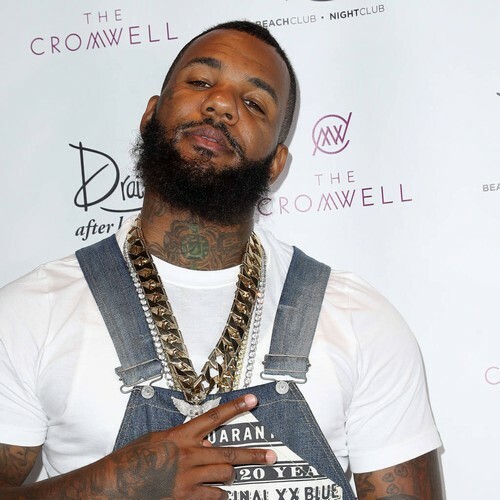 And The Game went even further, stating: “This is to Kodak Black or anybody disrespecting my n**ga’s legacy, his family… Keep my n**ga name out your f**king mouth, n**ga! Keep his girl’s name out your f**king mouth, n**ga! (What’s) the f**k wrong with you new n**gas…? This new generation, y’all f**ked up in the head. “That’s not it,” he says in a new video, stating the Florida-based rap star should have listened to the “guy next to you”, who suggested his remarks were “too soon”. “There’s NOBODY responsible for US except for US,” he writes on Instagram. “It has to STOP now. NO MORE hurting and bringing down your fellow brothers and sisters. Tap into LOVE. Remind yourself we are KINGS and QUEENS and reprogram your mind every day. Diddy appeared on Nipsey Hussle’s debut album, Victory Lap.